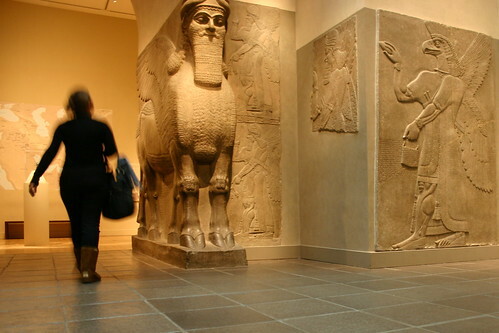 A winged, human headed bull frequently seen in ancient Mesopotamian (modern Iraq & Syria) myth and art - most frequently as looming sentinels at the gates of major cities. How does one morph into the other? Where that's where the fun of designing comes in! I fell in love with the Gilgamesh story, particularly his adventures with the wild-man Enkidu, so much so that I wrote and produced a play about it. It's a story that's stuck with me ever since. So when I was talking to Quince about doing a new shawl design, it was Gilgamesh, and his Mesopotamian brethren that sprung to mind. 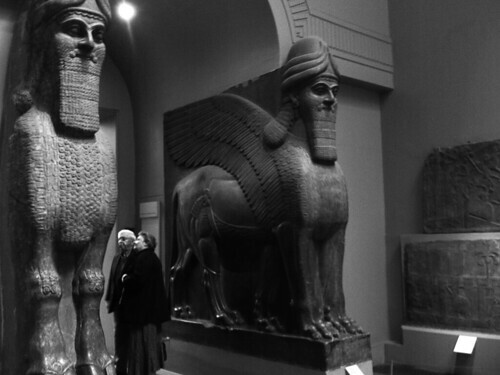 As is the way nowadays, I started collecting some images on Pinterest and I kept coming back to two things, the lamassu and king's beards. There was a distinct texture and style of the beards that the more I looked at it, the more knitterly they seemed. A stitch dictionary provided the trinity stitch that mirrored the curly portion of the beard by the mouth, and some time with swatches and graph paper yielded the banded columns and feathery bits I call Gilgamesh's Beard and Lamassu Feathers. 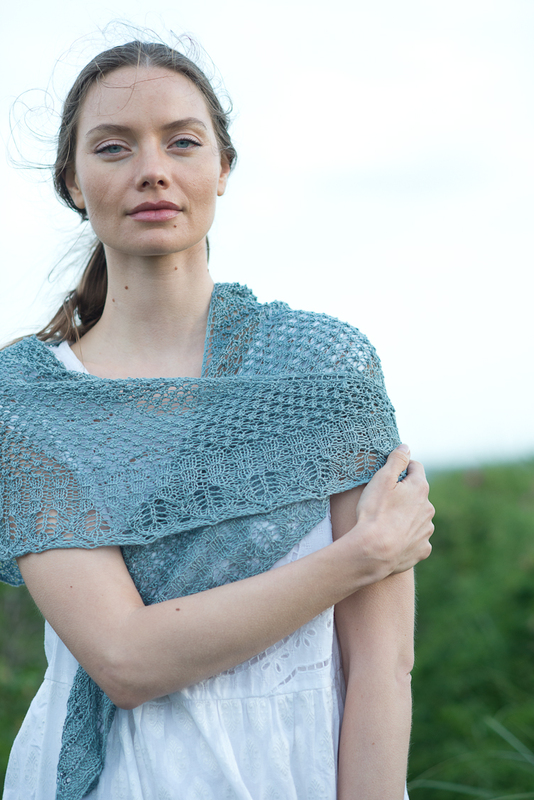 If you'd like to knit one for yourself, the pattern is available now in the shop or you can queue it up on Ravelry.